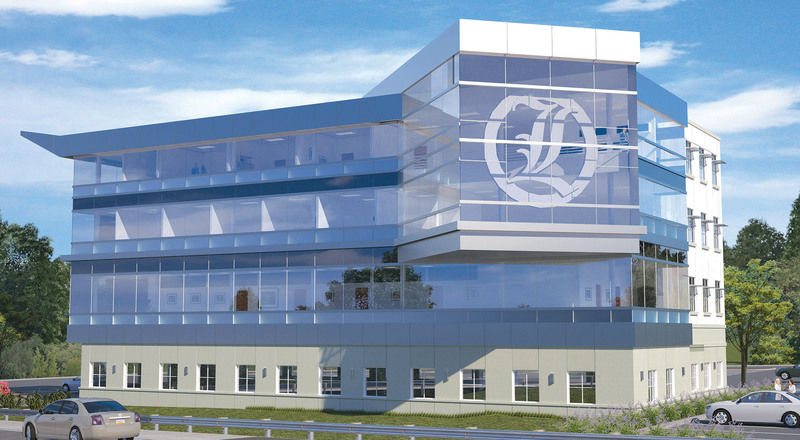 Waukesha Pearce Industries awarded the construction of its new $8 million, 45,000 sq. ft. facility to New-Belle Construction. The high-bay building will be used to service and distribute WPI’s heavy gas engines, being used by the natural gas industry. The building was designed by Desmone Architects. Uber selected Continental Building Systems as construction manager for the build-out of its new 53,000 sq. ft. space in Lawrenceville. TBI Contracting is starting construction on two new buildings in Sewickley village. The first is a 10,000 sq. ft. commercial building that will house a new Crazy Mocha on the ground floor. The second is the Vanguard Village office, a 30,000 sq. ft. spec building being developed by Forbes Trail Development and PWA Real Estate. Those commuters creeping up or down Greentree Hill will soon see the the new Greentree Primary Care Center II coming out of the ground. Burns & Scalo Real Estate is developing the 44,000 sq. ft. GPCCII as a spec building for healthcare users. I hope that building on Green Tree Hill leaves some room to eventually give I-376 a decades-overdue expansion in the future. Well that’s what zoning ordinances and right-of-way limits are all about. The building is to the north of the awful Green Tree ramp onto the Parkway so at least it doesn’t add to that mess. That part of 376 has a little room to work with, as opposed to the areas west of I-79. The Green Tree interchange needs to be a “SPUI,” which is like a diamond interchange with the tops of the ramps all curving in toward a center point on the overpass. They’re good at handling relatively high volumes of traffic without taking up much space. In fact, I’d venture that a SPUI would take up less space than the existing inferior interchange. And there actually does appear to be enough room for a six-lane Parkway West even in the squeeze areas, because a six-lane highway with full inner and outer shoulders and a median barrier only needs 122′ of right of way (add 12′ for every extra lane after that). The real challenges are a) rebuilding the two W&LE Railroad bridges over the Parkway West, b) widening the bridge over Chartiers Creek in its existing footprint, and c) figuring out what to do with the Fort Pitt Tunnel. Granted, those are all big challenges, but if they can be answered, then expanding the Parkway West can be done pretty easily after that. I think improvements to the Parkway West can be done incrementally, correcting those challenges one by one, with the ultimate goal of expanding it in mind. Sounds like you’ve thought of this before! The funding climate will only allow incremental improvements so that’s a given. My opinion is that you will notice a dramatic change in Parkway West traffic once the Southern Beltway opens to I-79. I anticipate dramatic growth along the I-376 corridor over the next 10 years & a lot of the business links to Southpointe anyway. Even for someone as far north as Bridgeville, it will probably be quicker to go to the Southern Beltway to get west of Robinson Town Center. That doesn’t ease the problem east of 79 or with the tunnels but it is a relief valve for traffic from the south. I’ve thought about it a lot because I’ve always been into geography and traveling, and everything that comes with it, like roads and highways. Sadly, significant portions of the highway system in the Pittsburgh area are poorly designed, and I think they deserve to be improved. I’m also tired of hearing about how lousy the highways are in Pittsburgh (and in Pennsylvania), so why not do something about it? The good news is, I-79 is already well-designed, and so is the Parkway North, though it could stand to be widened to six lanes north of Perrysville Avenue now. It’s also awesome to see the Pennsylvania Turnpike getting widened to six lanes as well. The big problems are the Parkways East and West, and I-70. At least I-70 is being improved bit by bit, and it should be a much nicer highway about 10 years from now. But the Parkways East and West are still pitiful, and the work PennDOT is doing on the Parkway West now doesn’t really improve any of its design deficiencies. If anything, it makes the design worse because the extra lanes near the I-79 interchange eliminate the outer shoulders. It’s bad enough that there are no inner shoulders, but now there will be no shoulders on either side near I-79. It just seems like a waste of money to me. I’d like to see PennDOT grow a pair and put together a preliminary design to improve the Parkway West at least, if not also the Parkway East, and then stick to that design to make incremental improvements as funding is available. ADDENDUM: When I say “improve” the Parkway West, I’m talking about widening it to at least six lanes, and also bringing it into full compliance with modern Interstate standards.